What majors are offered in the College of Business? 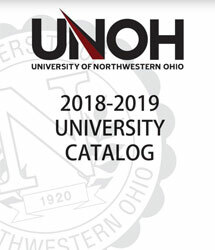 The University of Northwestern Ohio’s College of Business awards Baccalaureate Degrees and Associate Degrees in Accounting, Business Administration and Marketing. For a complete listing of degrees, click here. Traditional classes run from 8:00 a.m. to 2:45 p.m., evening classes run from 5:45 p.m. to 8:20 p.m. and from 7:25 p.m. to 10:00 p.m. The Flexible Learning Evening Program offers classes through a combination in class and online coursework perfect for the working adult. The University of Northwestern Ohio also offers online classes in a majority of programs. How long does it take to complete most programs? Associate Degrees take 18 months to complete (18 hours per quarter). Bachelor Degrees can be completed in less than 4 years. 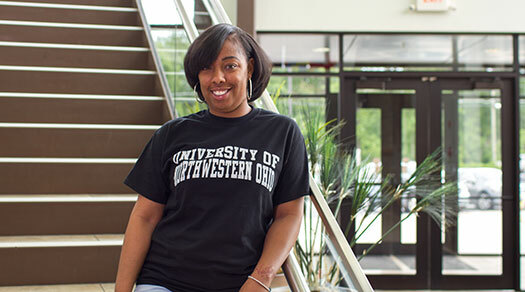 The University of Northwestern Ohio Flexible Learning Evening Program offers students the opportunity to complete a Bachelor's Degree through a combination of in class and online coursework in 21 months. Can I live on campus? The University of Northwestern Ohio can house up to 1600 students on campus. Dorm communities are all within walking distance of your classes and are semi-furnished. For more information on Housing, click here. What is the cost to attend the University of Northwestern Ohio? For information on the current costs for the College of Business, click here. When can I begin classes? Classes begin four times a year - Fall, Winter, Spring, and Summer quarters. How do I register for an online course? Course registration takes place online during open registration periods. For more information on course registration, click here. To enroll in a 100% online degree program, please contact admissions at (419) 998-3120. The University of Northwestern Ohio offers a variety of grants and loans for students. For information, please click here.